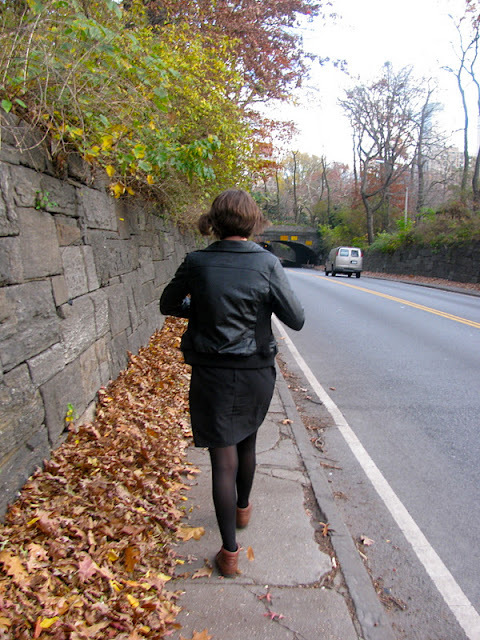 This is Jenn. She's hilarious and awesome. 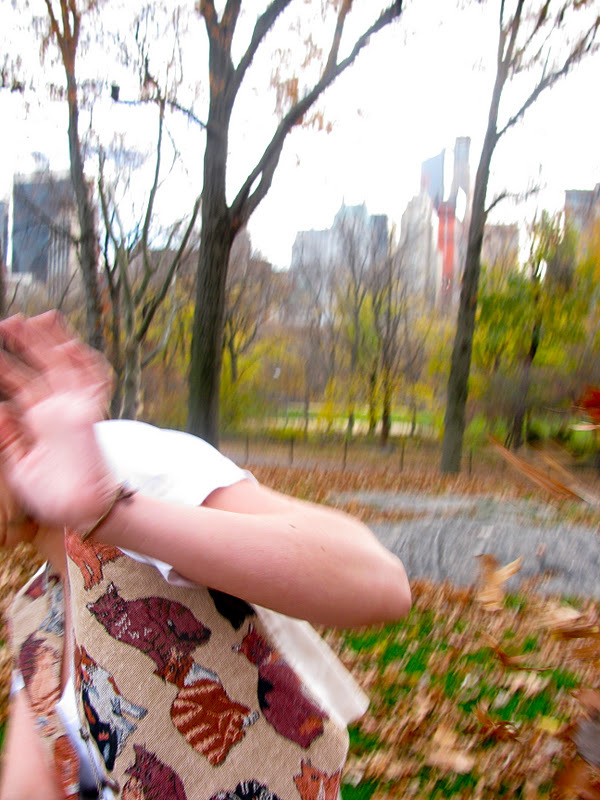 When she came to visit me, we had a picnic in Central Park and staged a spontaneous "photo shoot" in a pile of leaves. 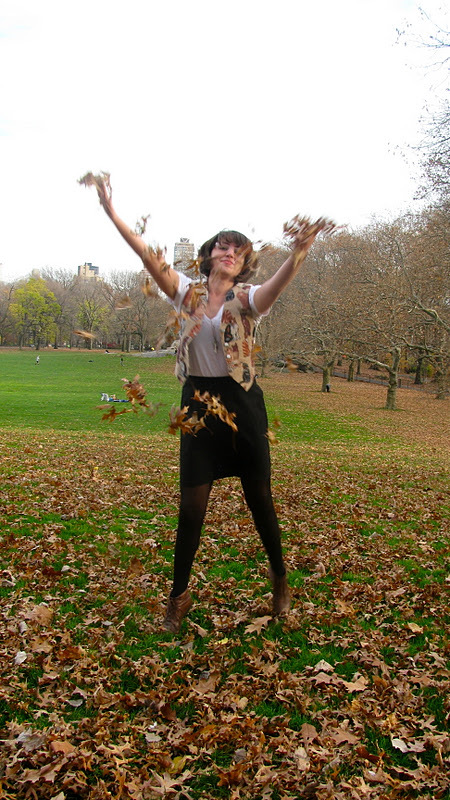 Mostly it's just me trying in vain to throw leaves in the air (stay tuned! ), but I was able to catch a few of Jenn and her fantastic cat vest! 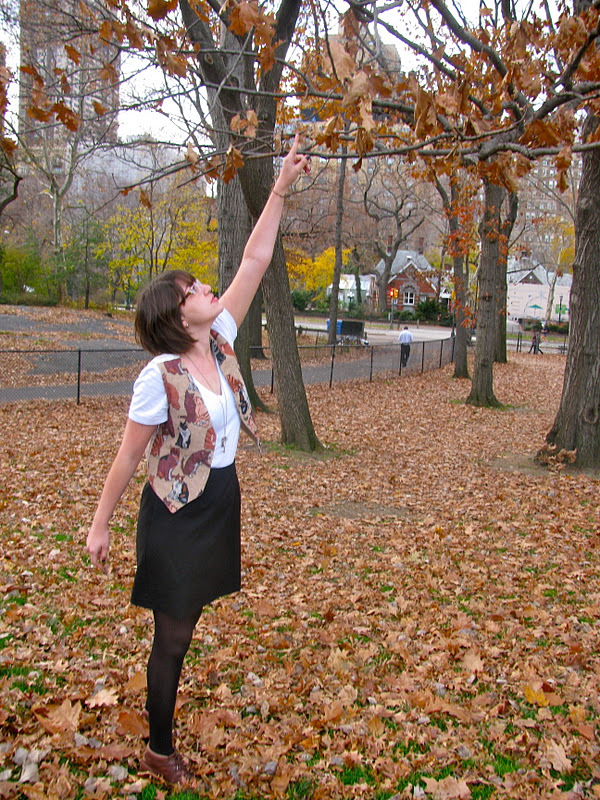 haha I might've been throwing leaves at her in this picture, but at least you can really see the details of her awesome vest!